We currently embrace over 30 different cultures at our school including Portugese, German, Tagalog, Samoan, Vietnamese, Irish, Chinese, Japanese, Afrikaans, Maori, Indian, Tongan, Italian, Fijian, English, Spanish, and many more! St Joseph’s School actively develops culturally responsive practices. All cultures within our school are valued, accepted and celebrated through encouragement of an inclusive school culture and values. Staff members ensure that students from all cultures are treated with respect and dignity, and constantly work towards maximising the potential of each student irrespective of cultural backgrounds. Learning uses the cultural knowledge and equity of individual students to encourage acceptance of diversity through learning. 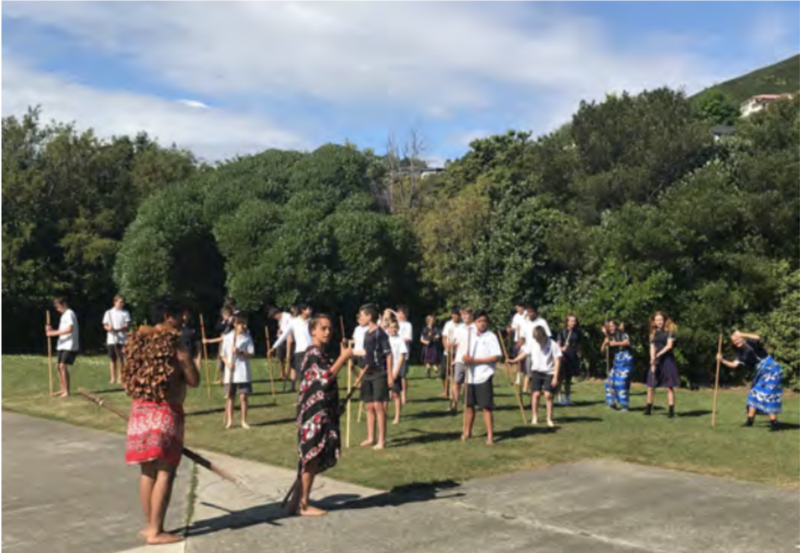 St Joseph’s School will continue to review policies, procedures and practices that will reflect New Zealand’s cultural diversity and the unique position of Māori. We recognise the place of Māori in our society and the agreements in the Treaty of Waitangi. Te Reo, waiata and karakia are therefore part of everyday classroom communication and staff meetings throughout the school. Our local whānau will be consulted in an annual hui. 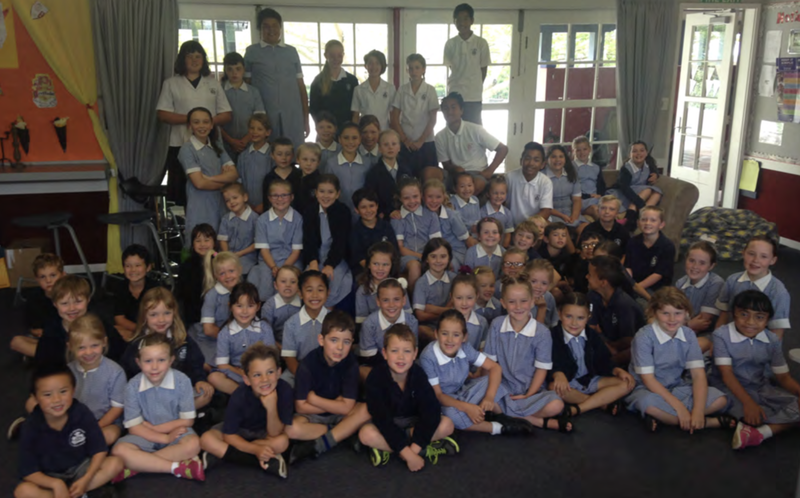 An opportunity is given for all Māori students and students upwards from year 3 to participate in our Kapa Haka group and all students to be involved in Te Reo and tikanga Māori learning. Last week our intermediate was welcomed onto the whakatu marae by Matua Mike. This was a day we were all looking forward to and our anticipation was certainly rewarded!We got the opportunity to participate in lots of activities ranging from learning waiatas to learning new moves for our taiaha. During the morning we were welcomed onto the marae by their best warrior. He performed a wero (challenge), this is a custom that determines if the guests have come in peace or war. The warrior places a plant in front of the visitors and if we were here to fight we would step in or over the plant but if we come in peace we pick up the plant and carry on! After the powhiri took place, it was time for our first activities. Some activities were in the marae and some were outside like the taiaha. Throughout morning tea and lunch, we played Kio Rahi and tackle seaweed. After lunch we finished our activities and then we got our own chance to chip in with a powhiri of our own welcoming the parents onto the marae. The boys (and girls) got to do the haka and taiaha and take part in some of the tikanga. This was followed by dinner and helping with the clean up. We had hamburgers for tea and a huge thanks goes out to Sandra for flipping all those patties. We ended the day with a game of Kio Rahi against the adults, it was such a cool day and a great experience.